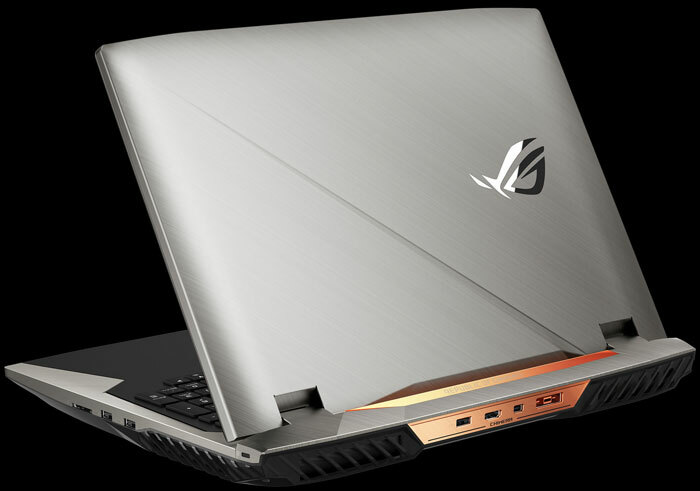 At IFA 2017 Asus has launched the ROG Chimera gaming laptop. The Chimera's claim to faim, or USP, is its ultra-fast display, with a 144Hz refresh rate. Asus says it utilises a 17.3-inch IPS type 1080p panel. Providing enough power under the bonnet for running 3D experiences at their full potential on this screen, Asus has chosen to pair an Intel Core i7-7820HK CPU and an Nvidia GTX 1080 GPU. 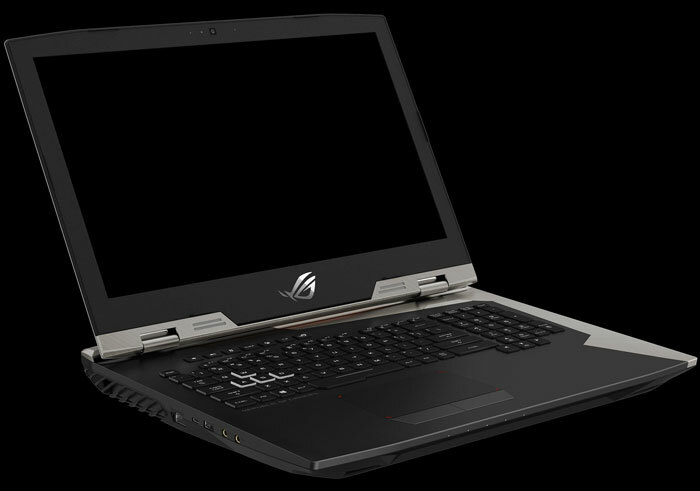 One expects a 17.3-inch gaming laptop to be rather hefty and Asus admits that in this case "instead of slimming down, the Chimera beefs up to 51 mm thick to make room for an elaborate cooling system." Both the 4C/8T Kaby Lake Core i7 and GTX 1080 are thus capable of being pushed past stock clock speeds and facilitate a premium desktop-like experience in a laptop you can easily carry around in a backpack. Looking again in more detail at the display panel, Asus has some interesting claims. The firm says that IPS style display pixels "usually take around 25 milliseconds to switch between shades of gray, but we worked closely with our panel partner to cut that time to just 7ms." The effect is that end users won't suffer from slow response and ghosting of fast-moving objects but should be pleased with the rapid sharp motion on screen. Asus confirms that the Chimera's desktop-class GeForce GTX 1080 with 8GB of GDDR5X memory has more than enough power to hit "triple-digit frame rates at the laptop’s 1080p native resolution." Furthermore, Asus has implemented Nvidia's G-Sync technology for smoother on screen action. Perhaps thanks to its thick chassis Asus has been able to install a new keyboard design. The keyboard has 2.5mm travel, N-key rollover, and dedicated hotkeys for controlling audio, Xsplit recording, Aura backlighting (RGB per key), ROG Gaming Centre, and Xbox Live. On the topic of input, Asus has embedded a wireless module that lets you connect up to eight Xbox One controllers to the Chimera. For powerful audio on the go, Asus has installed a 10W quad-speaker system into the Chimera. The system consists of dual tweeters below the display and dual woofers in the chassis base. A dedicated ESS Sabre Hi-Fi headphone DAC supports audio up to 32 bits and 384kHz and 7.1-channel surround sound emulation. The ROG Chimera gaming laptop is "coming soon," but we don't have any pricing indicators as yet. For the full range of Asus ROG kit showcased at IFA 2017 check out the official event press kit. Not entirely sure of the point of a GTX 1080 card for a 1080 display. Surely you'd want at least 1440 or 4K to make use of such a card? If you're using it for a purpose other than gaming and for GPGPU stuff then yeh but otherwise this is a waste of money and a waste of a card in my view. To be fair, 144Hz does get more of a benefit from using a better gpu.